Yesterday I had the opportunity to meet face-to-face with the UK Home Secretary, Amber Rudd, at Karma Nirvana’s offices in the north of England. 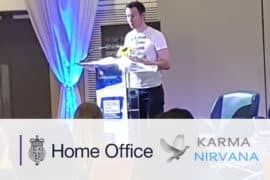 The Home Secretary was visiting Leeds to meet victims and survivors of ‘honour based abuse’, and to see first hand the National Honour Abuse and Forced Marriage Helpline which is run by charity Karma Nirvana (KN). In a closed room, surrounded by armed officers, special security services and journalists myself and selected members of KN’s Survivor Ambassador Panel were each given five minutes with the Home Security. 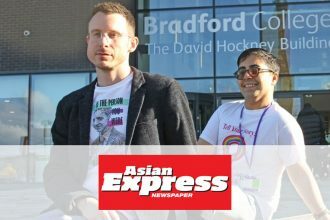 Given her role and level of responsibility within the UK Government, I used my five minutes to argue the case for criminalising so called ‘gay cure therapy‘, and talked to the Home Secretary about how this feeds into ‘honour abuse‘ and violence by some families who believe being gay is ‘shameful‘, ‘dishonourable‘ and a ‘disease’. While there is still the concept of a ‘gay cure’ available, legally, there will always be scope for a parent to therefore think being gay is a disease. That there is something wrong with their child. We must break this mindset. 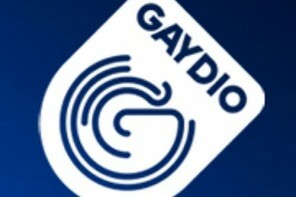 We must remove the availability of ‘gay cures’ practiced by professionals who are part of professional bodies, and also the individuals who operate away from the high street behind closed doors. The Home Secretary listened, and asked the question that I was hoping she would. We look forward to continuing the conversation with her department back in London. 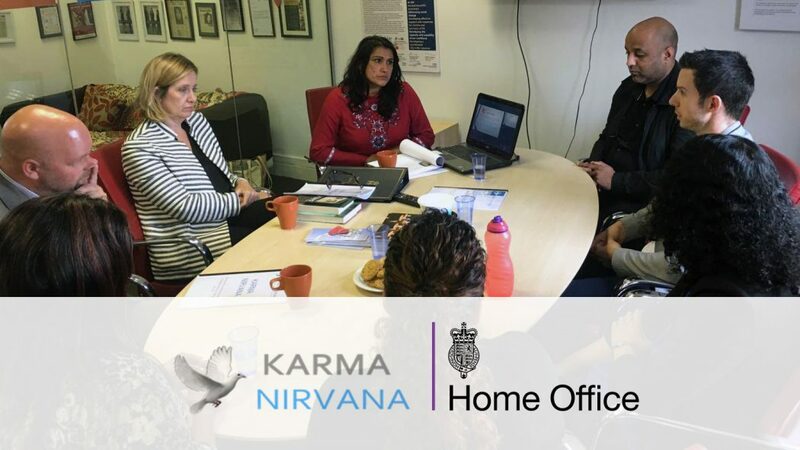 We would like to thank Jasvinder Sanghera CBE (founder of Karma Nirvana) and Karma Nirvana’s Survivor Ambassador Panel (SAP) for giving Naz and Foundation the opportunity and platform to engage with the UK Government at this level. Are you experiencing abuse from your family because of your sexuality or gender identity, and their religion or culture?